Flirting knows no language. 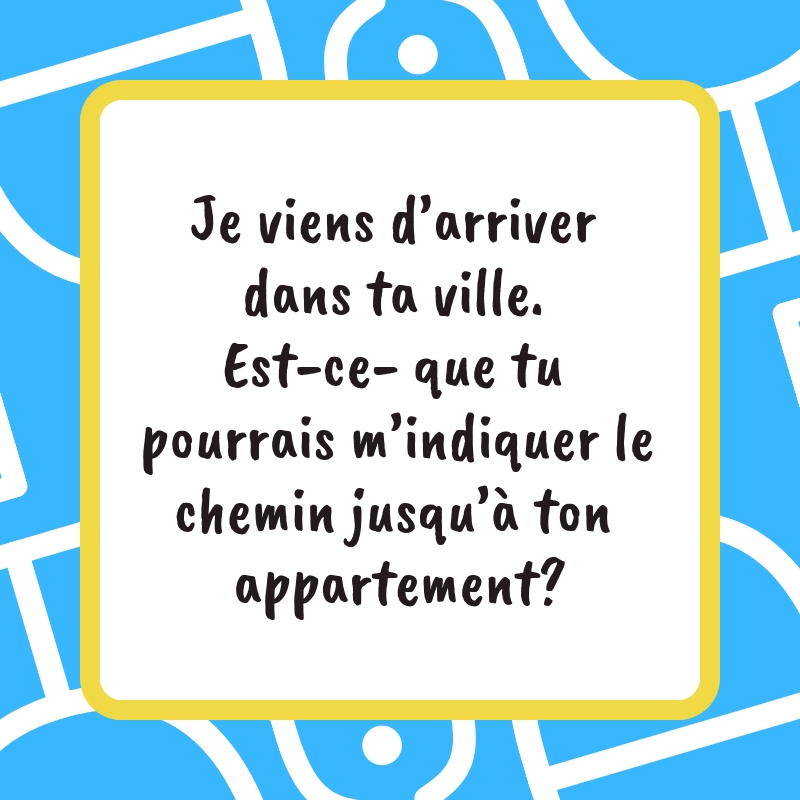 Though most French would rather hop on the conversation than rely on pick up lines, you can actually use this to your advantage. 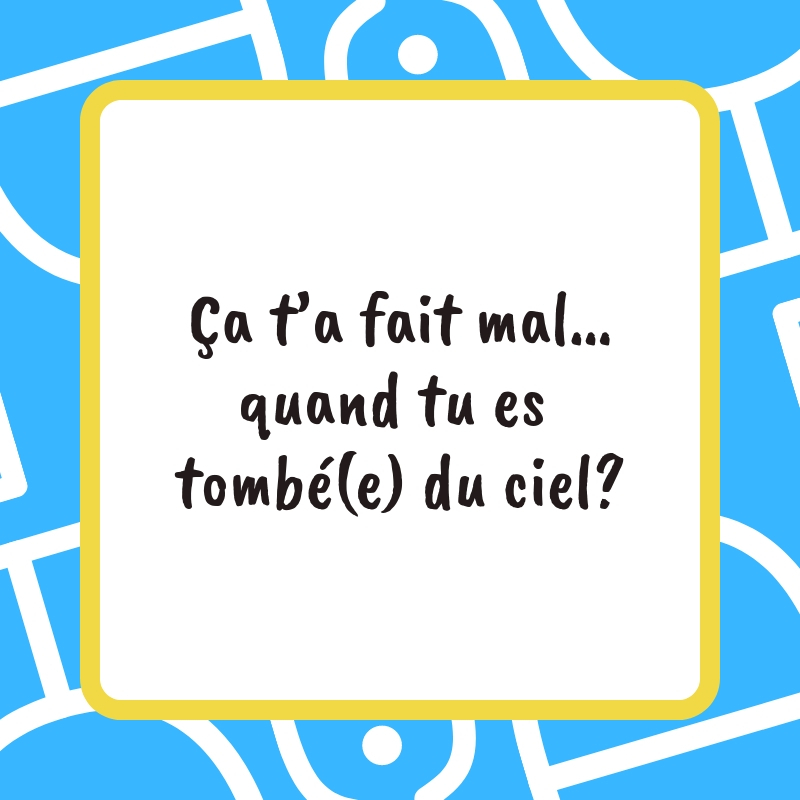 If you’re a foreigner captivated by a French beaut, using pick up lines in French is a testament of your effort to win someone’s heart! 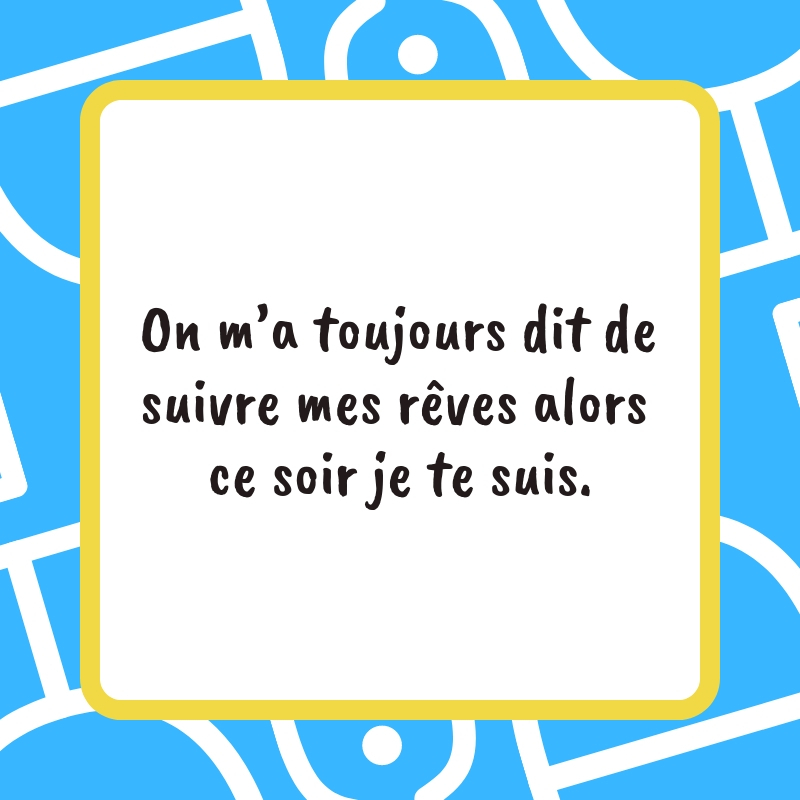 To help you out in the city of love, we’ve prepared a sweeping list of pick up lines tailored in the classic language of love. 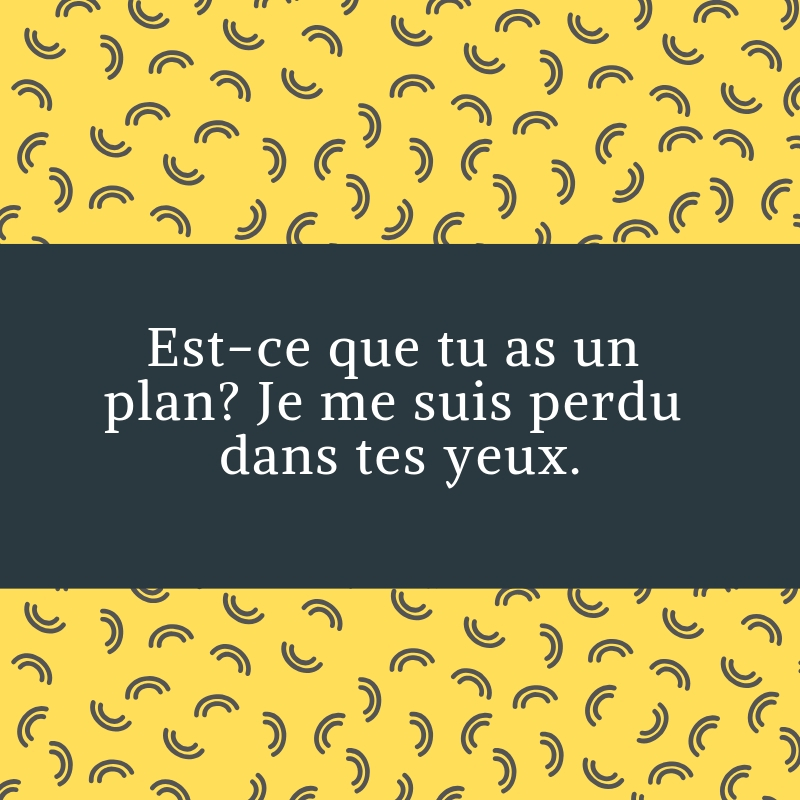 Borrow some of these French pick up lines and charm your way with a romantic tongue! There’s certainly no shortage in the vocabulary of a person hit by cupid’s arrow. And if you’re one of them, then you’re on the right track! 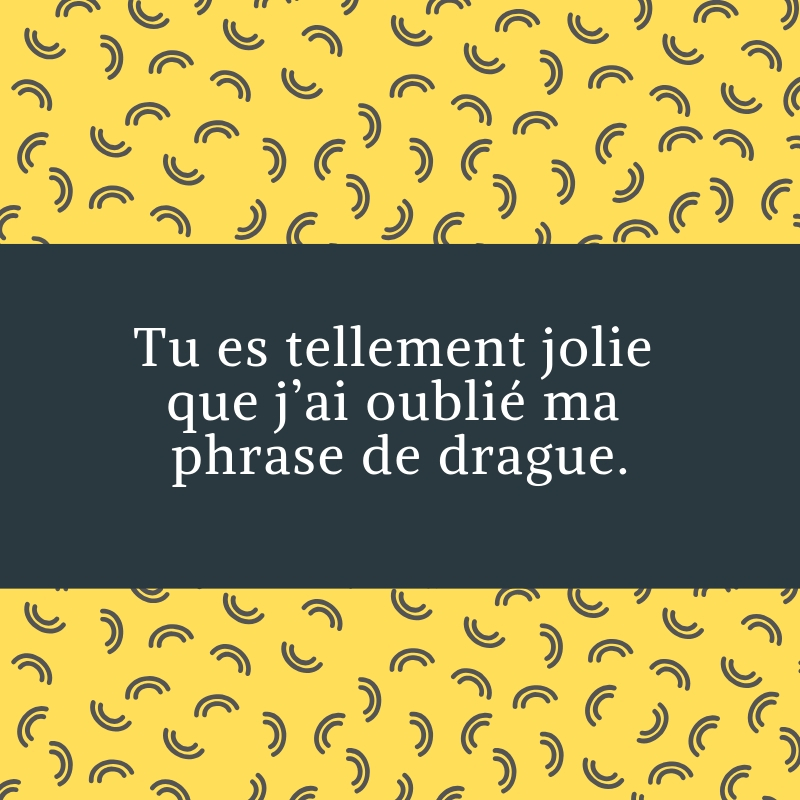 Tu es tellement jolie que j’ai oublié ma phrase de drague. You’re so pretty that I forgot mypick-up line. 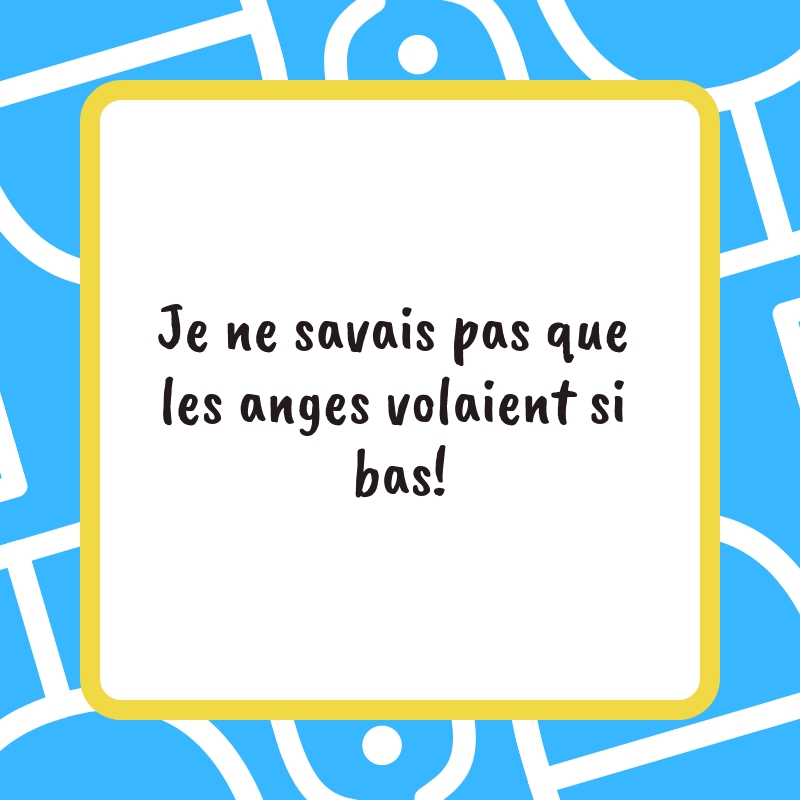 Je ne savais pas que les anges volaient si bas! I didn’t know that angels could fly so low! 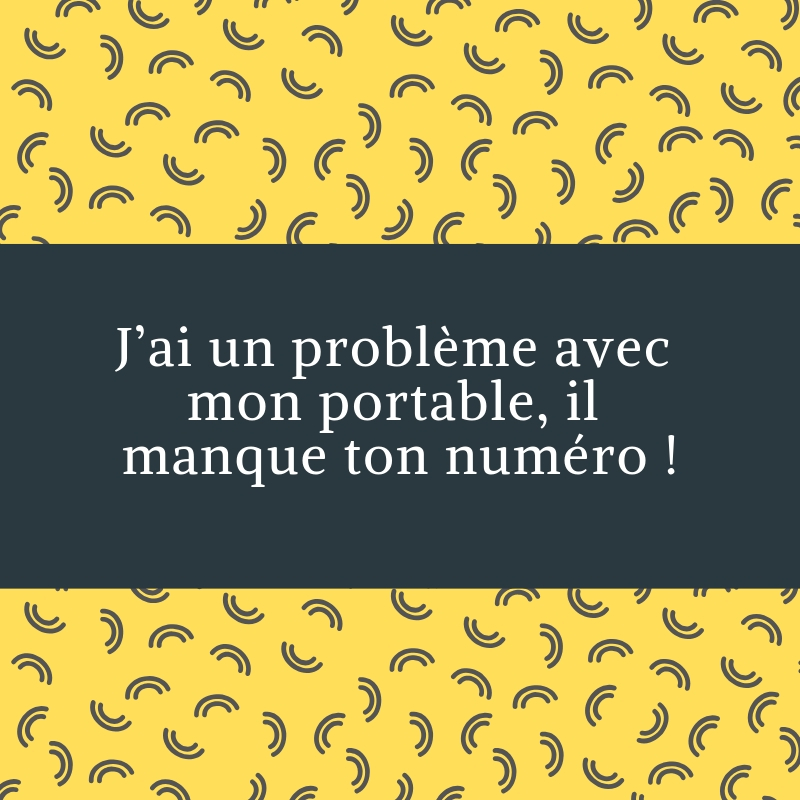 J’ai un problème avec mon portable, il manque ton numéro ! I have a problem with my phone; it lacks your number! 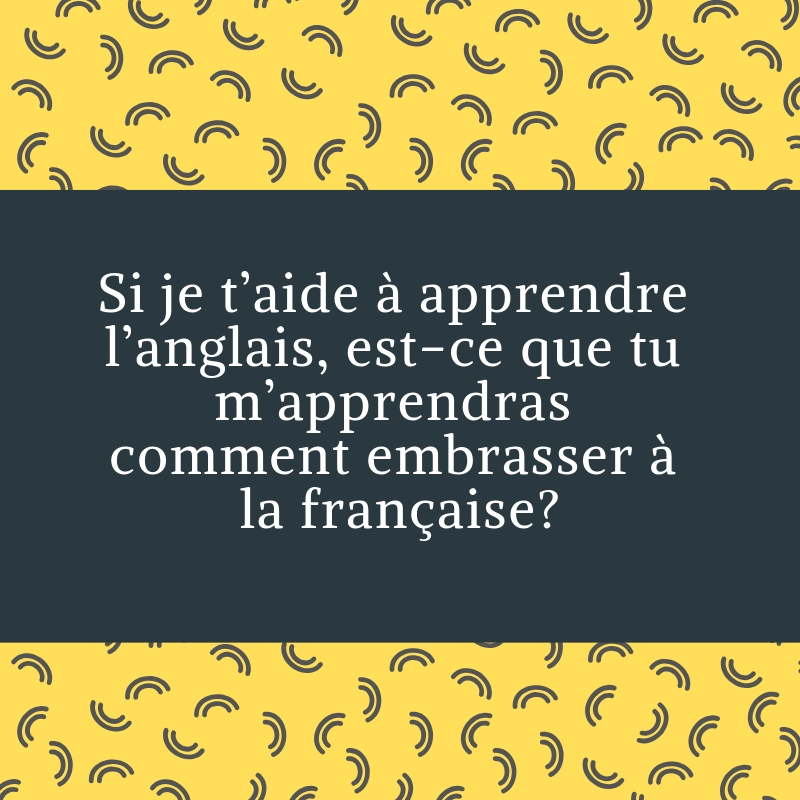 If I teach you English, will you teach me how to French kiss? 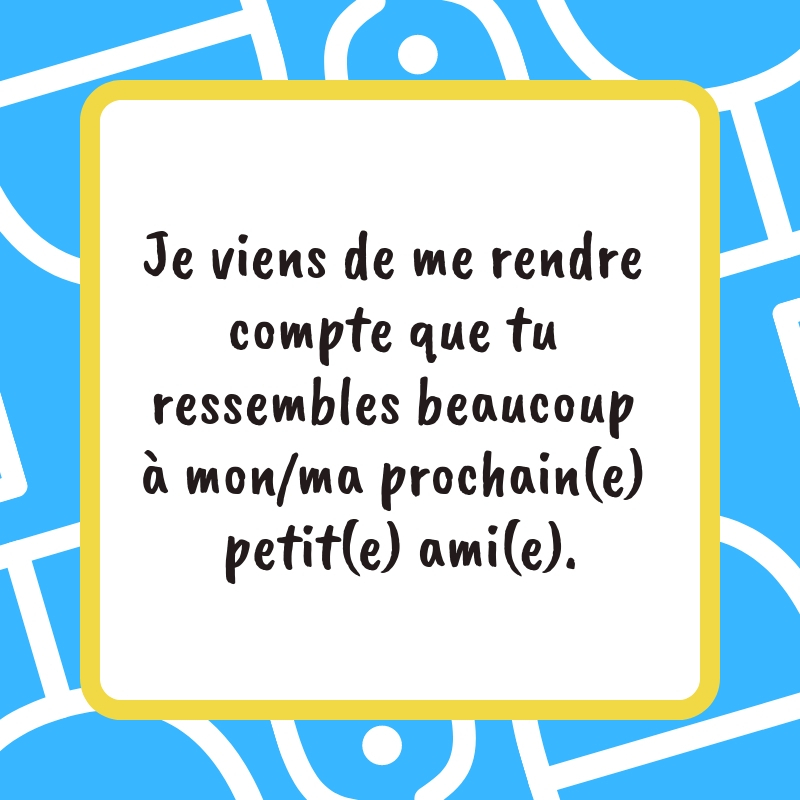 Je viens de me rendre compte que tu ressembles beaucoup à mon/ma prochain(e) petit(e) ami(e). I just realized that you look a lot like my next boyfriend/girlfriend. 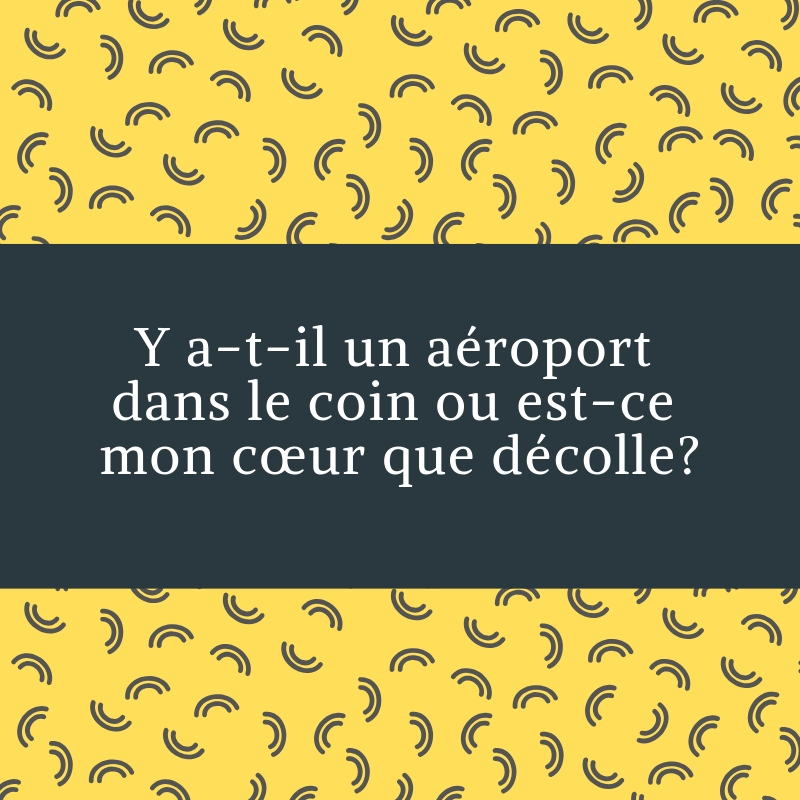 Ça t’a fait mal…quand tu es tombé(e) du ciel? Did it hurt…when you fell from heaven? 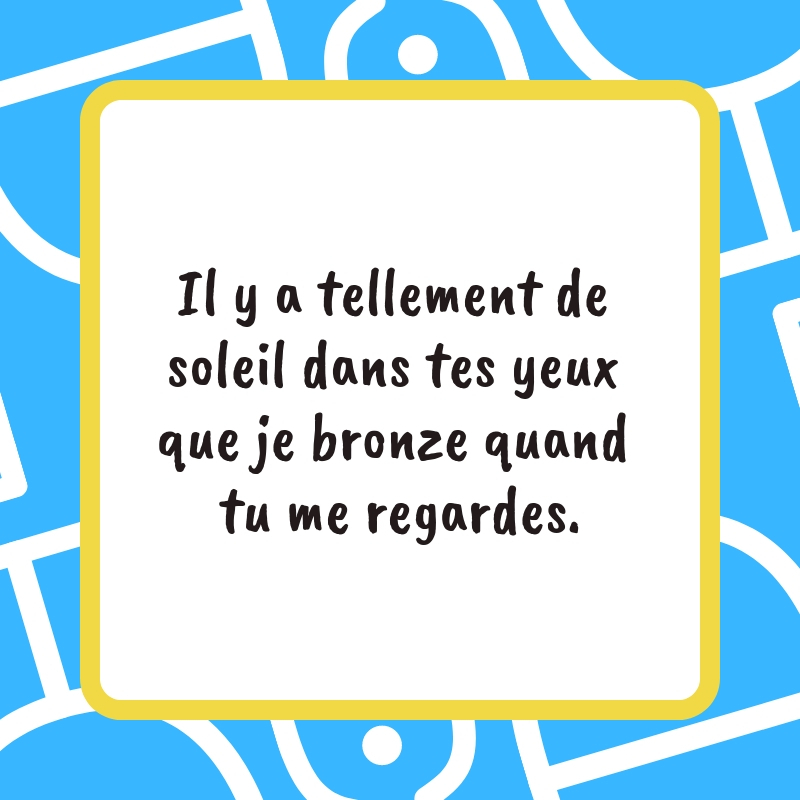 Il y a tellement de soleil dans tes yeux que je bronze quand tu me regardes. There is so much sun in your eyes that I get a tan when you look at me. 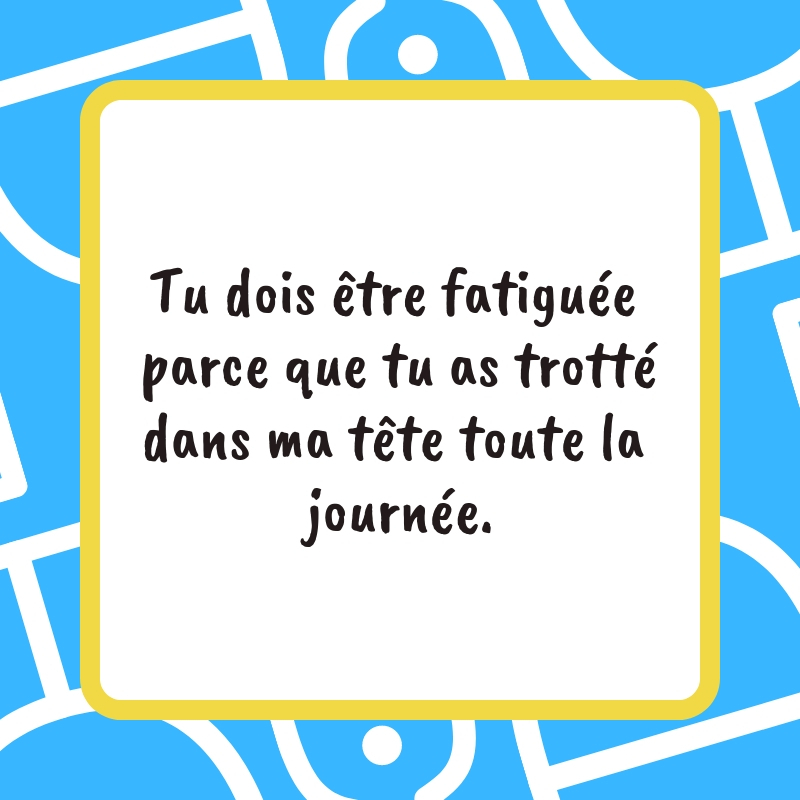 Tu es célibataire. Je suis célibataire. You’re single. I’m single. Coincidence? On m’a toujours dit de suivre mes rêves alors ce soir je te suis. They always told me to follow my dreams, so tonight I’m following you. 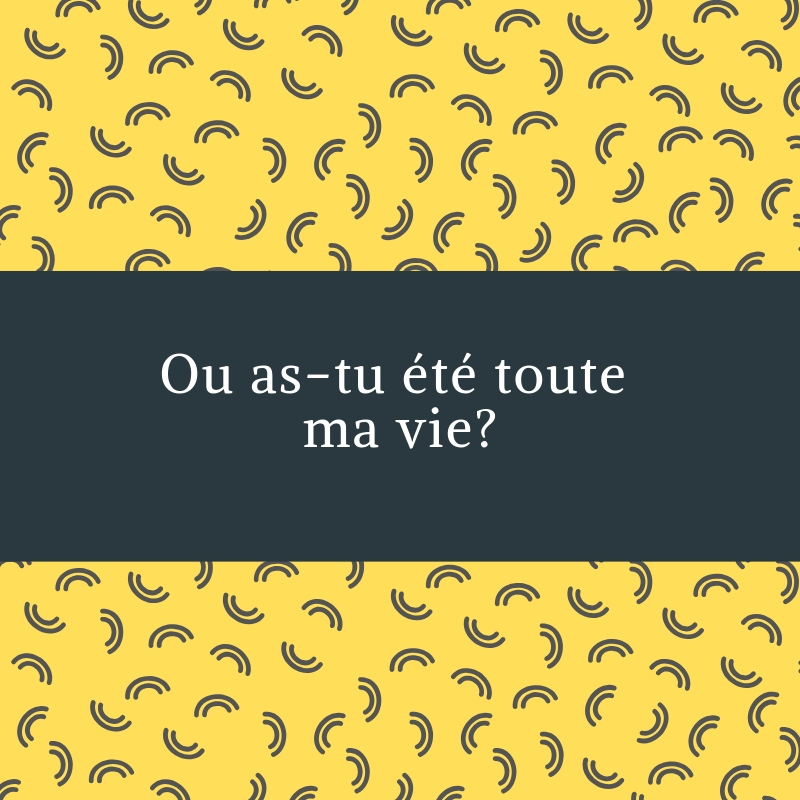 Est-ce que ton père a été un voleur? 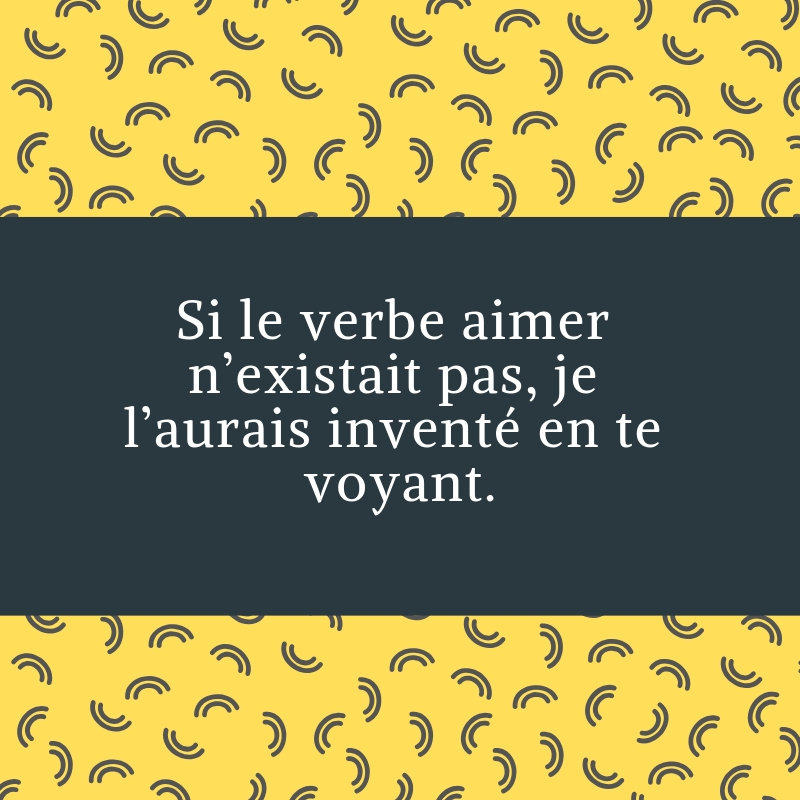 Parce qu’il a volé les étoiles du ciel pour les mettre dans tes yeux. 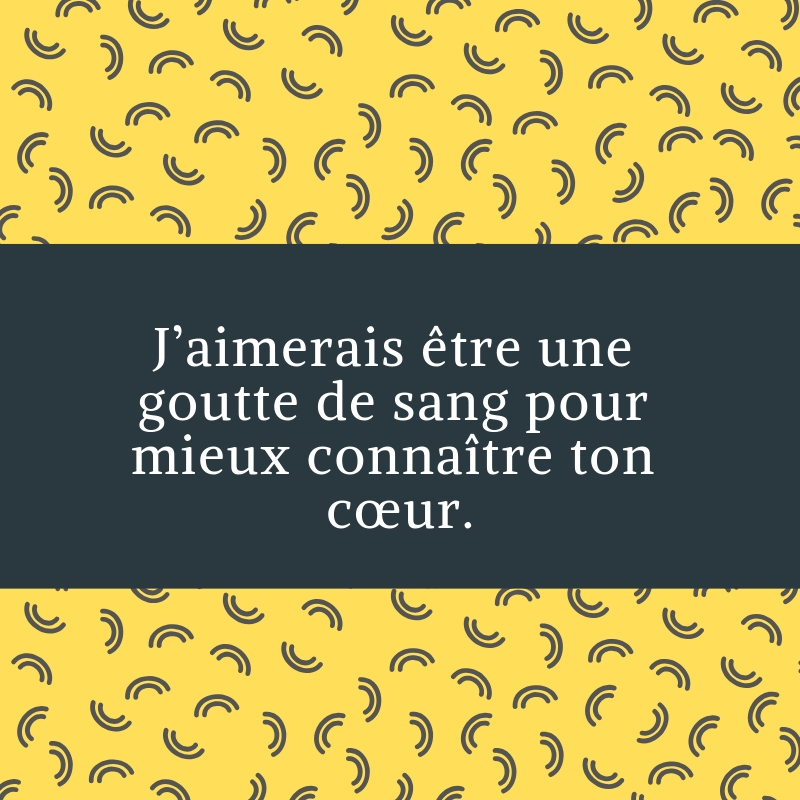 J’aimerais être une goutte de sang pour mieux connaître ton cœur. I would like to be a drop of blood so as to better know your heart. 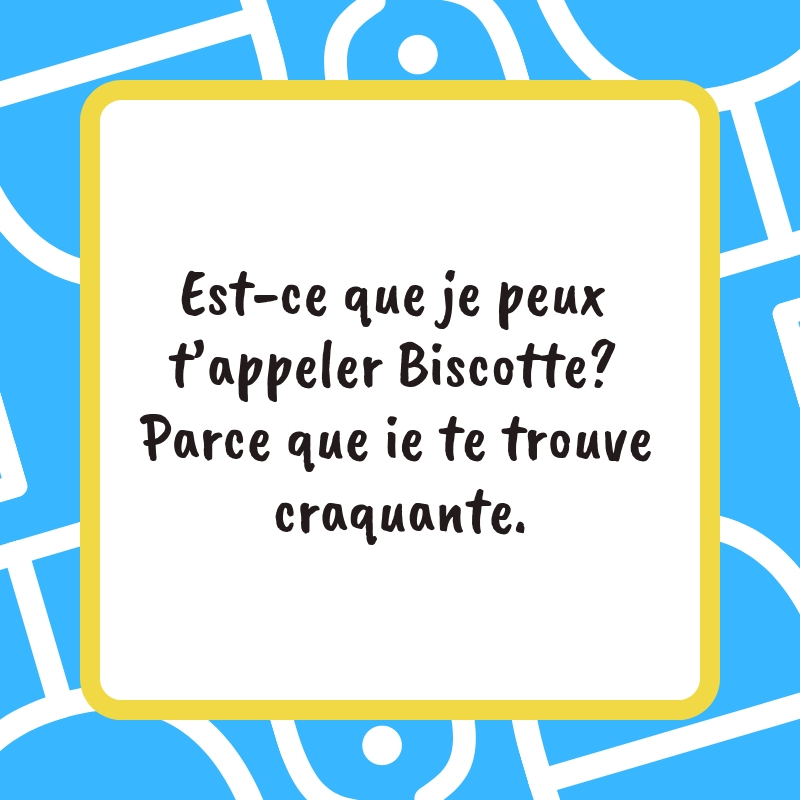 Est-ce que je peux t’appeler Biscotte? 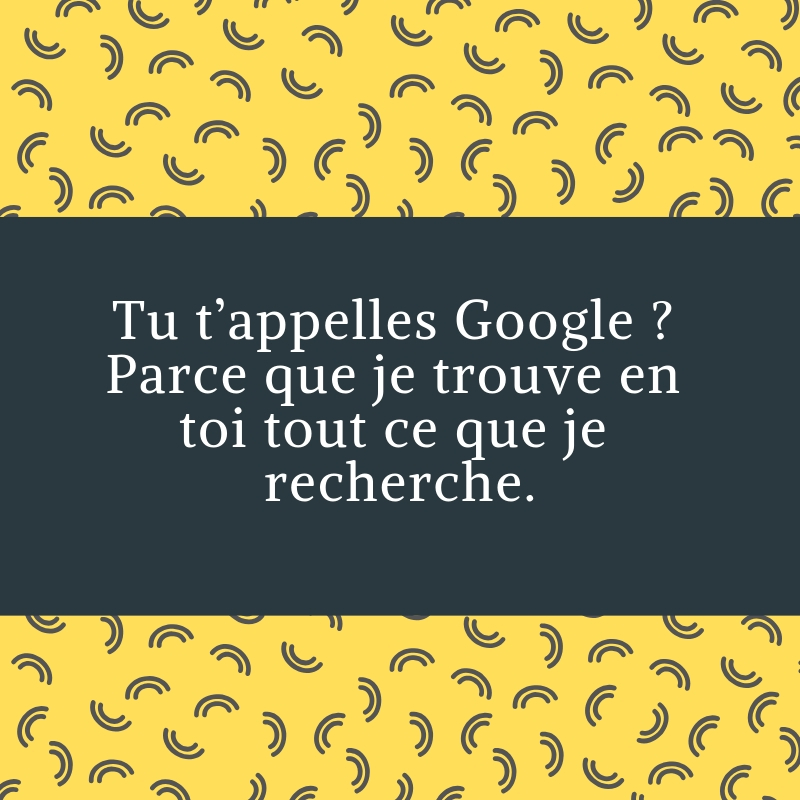 Parce que ie te trouve craquante. Can I call you Cookie? Because I find you irresistible. 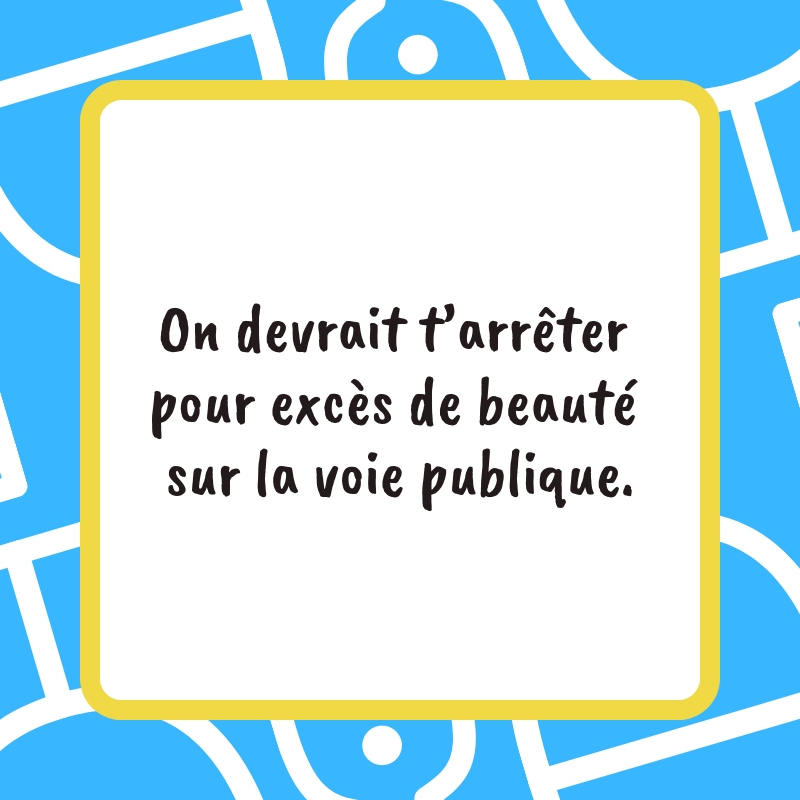 Tes lèvres semblent si solitaires…. 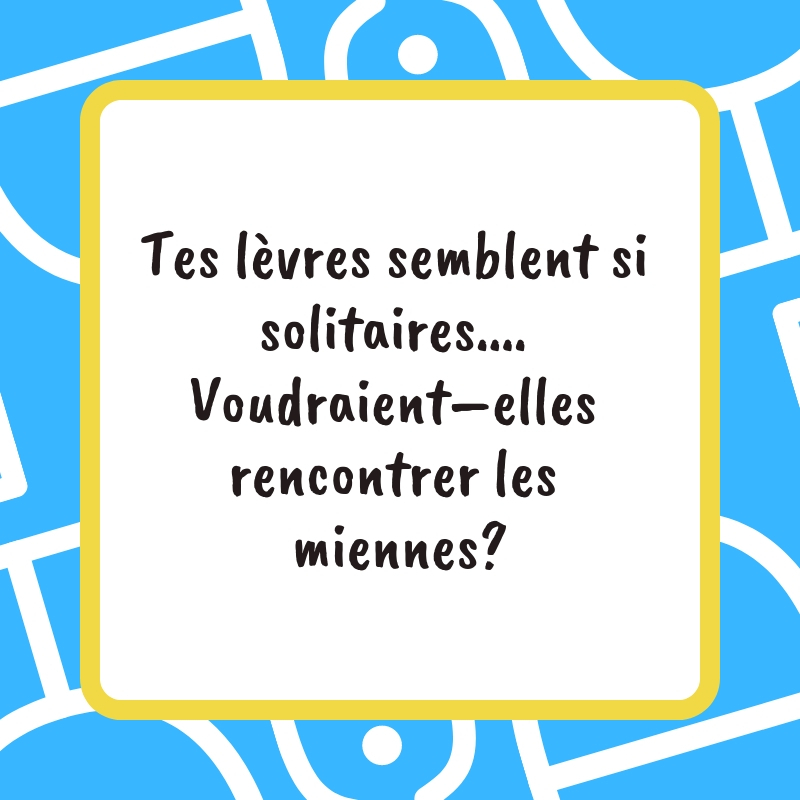 Voudraient–elles rencontrer les miennes? 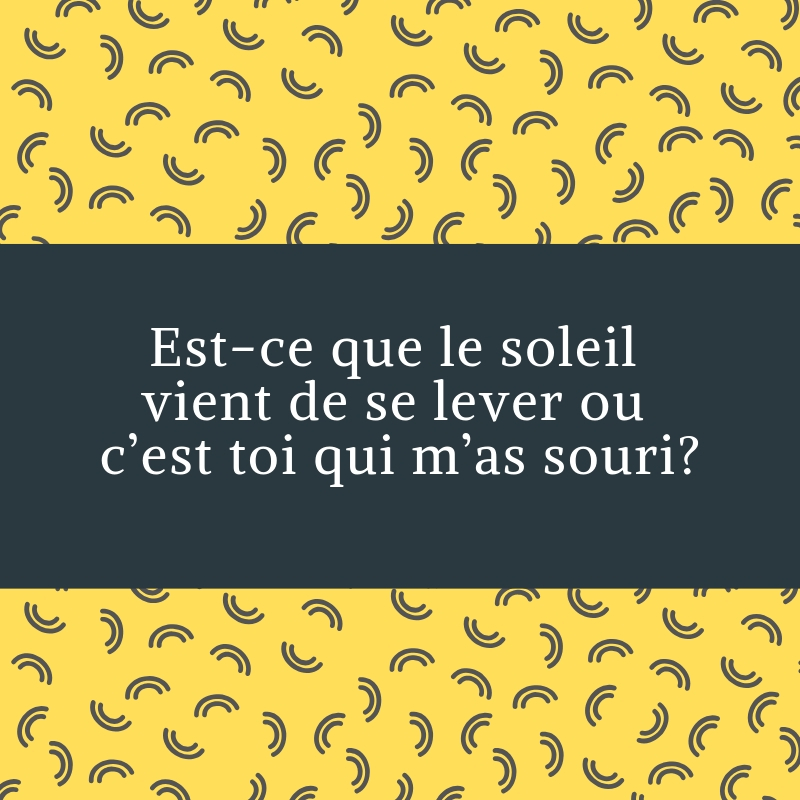 Est-ce que le soleil vient de se lever ou c’est toi qui m’as souri? Did the sun just rise or did you smile at me? An armor you can use for the nth time is the array of pick up lines served on the dating table. It’s a classic move that never seems to get old for people smitten with love. 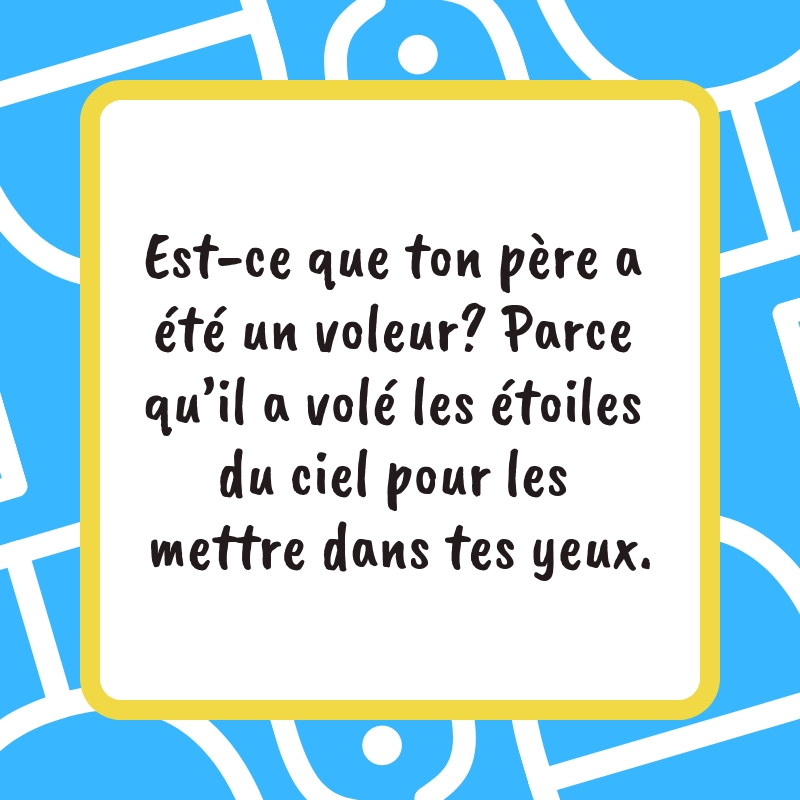 If you think using pick up lines to woo somebody is a thing of the past, let the wit and cheesiness of French pick up lines change your mind!